The other day while rummaging around in my larder, I came across a can of sweetened condensed milk that had shifted to its far reaches. Normally this wouldn’t be reason to break out in a big smile, but it struck me as utterly serendipitous, since I had been thinking about it earlier in the week. 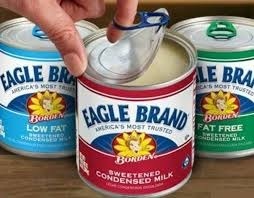 There was a time when I always had one or two cans of Eagle Brand milk on hand. Back in my Florida days of hanging out in marinas with the live-aboard community, it was regarded as a provisioning staple. With little else, you always knew you could whip up a quick dessert worthy of company ̶ Key lime pie, for example. Dulce de leche is a by-product of sweetened condensed milk that all boaters know about because the method couldn’t be simpler. The sealed can is simmered in boiling water for two to three hours until it is transformed into a lovely caramelized confection. Compounded by the fact that almost anything tastes better on the water, I suspect I could have smeared dulce de leche on just about anything and would have been happy. But as intriguing as it sounded, I was more fearful of blowing up the boat and becoming lost at sea than zoning out on dulce de leche, and I never quite reached that level of distraction. I certainly have thought about making it since, but the apprehension has remained. So nothing could have been more co-incidental than reading a couple of different references to David Lebovitz’s baked dulce de leche, and then happily discovering a can of the sweet stuff adrift in my cupboard. It’s difficult to read anything by David and not get swept up in his seductive prose, which is often in contrast to his straight forward approach. His preparation could not be easier: bake the contents of a can of sweetened condensed milk in a water bath for just over an hour. David promises positive results without the cataclysmic two to three hours of sweaty hovering. 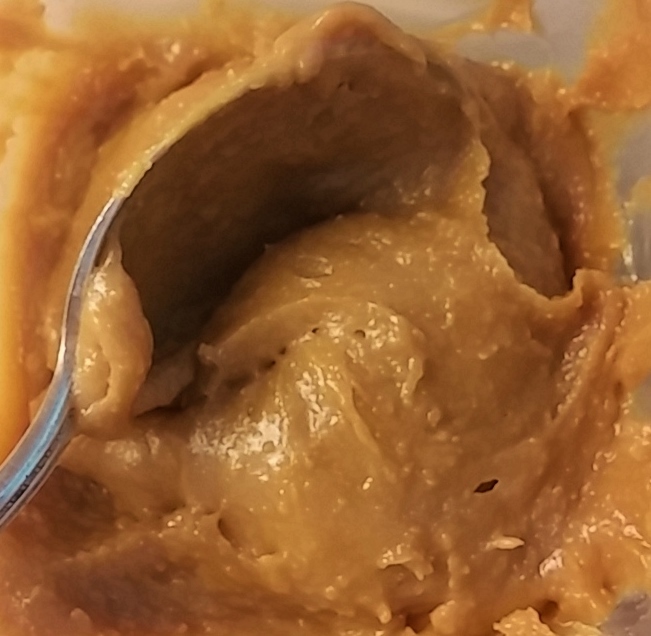 Granted, I am such a pushover I could eat sweetened condensed milk straight out of the can ̶ without any further cooking, but the dulce de leche is as good as David claims. The process is angst-free and and the toasty, nutty, caramelization makes it well worth the effort. I’ve since learned that one 14 oz. can does not yield much when reduced: perhaps one cup. If you sample it at all, there goes the cup. Next time, I will make a double batch, for sure. Also, know that it sets up as it cools. Store it covered in the refrigerator and simply warm it until spreadable ̶ or dipable. Use it anywhere you would a caramel sauce or dulce de leche. If you are like David, you’ll want to try a little on your day-old baguette with your café au lait. Pour 14-oz. can of sweetened condensed milk into a glass pie plate or shallow baking dish. Stir in a few flecks of sea salt. Cover the pie plate snugly with aluminum foil and bake for 1 to 1¼ hours. (Check a few times during baking and add more water to the roasting pan as necessary). Once the dulce de leche is nicely browned and caramelized, remove it the oven and let cool. When cool, whisk until smooth. Store in the refrigerator until ready to serve. Warm gently in a warm water bath or microwave oven before using. Yield: about 1 cup.